Carrying on from our post last week, find our next 5 key considerations to make when planning your wedding. 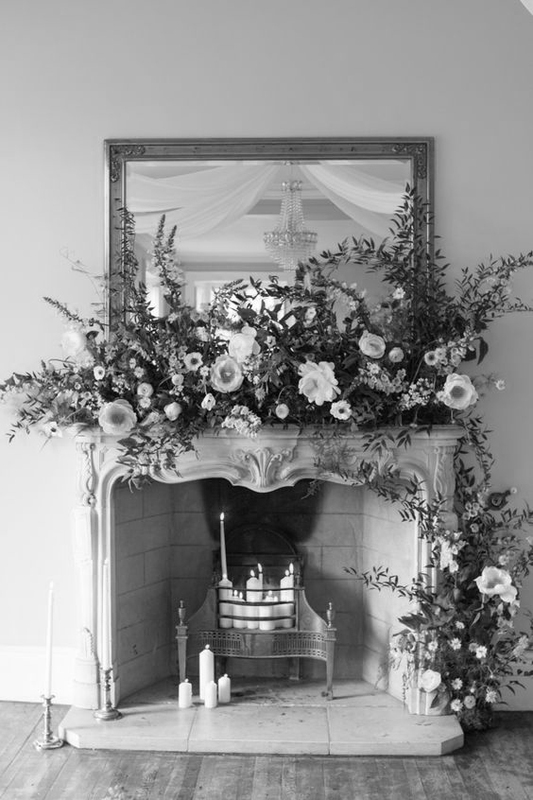 The style of your wedding (point 2) should give you a point to start from when deciding on your flowers and decor. Think about your favourite flowers in your day-to-day life and see if these fit with your colour scheme and venue (try to avoid any clashing colours with the existing decor - your blooms and accessories should complement the space, not fight against it). The season you are getting married in will also determine what flowers are available (and at what price). If you love peonies (which are generally in season from May to early July) but are getting married in September, a good florist will be able to suggest an alternative just as beautiful, perhaps a sweet Juliet rose, ranunculus or dahlia. A great way to add volume to arrangements and bouquets (without hugely increasing the cost) is to fill it out with foliage and greenery. Your florist will know what variety will complement your chosen blooms and not take away from their beauty. 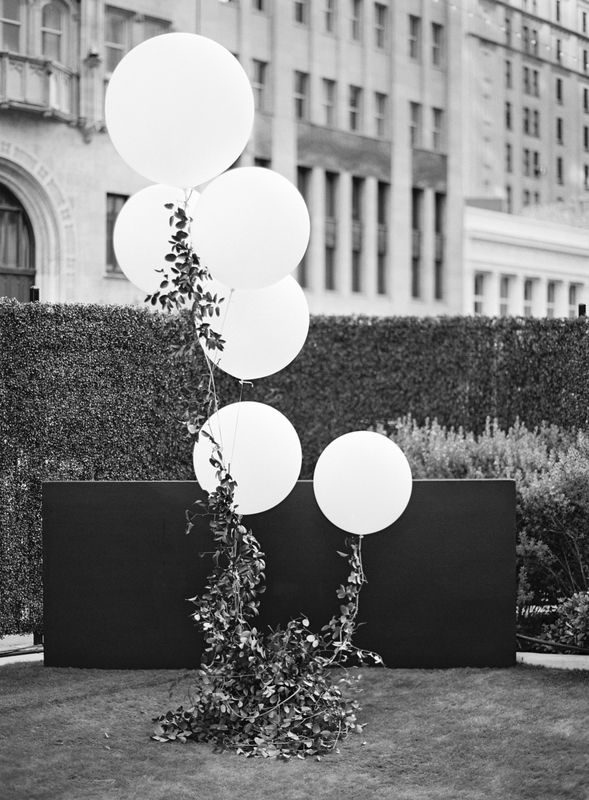 Foliage looks fantastic as hanging installations or as garlands running down the centre of long tables. Some brides are even opting for foliage-only bouquets, which are unique, cost-effective and just as beautiful as a traditional bouquet. Floral items to consider are bouquets (for the bride and bridesmaids), buttonholes (for the groom and groomsmen), arrangements for the ceremony and to dress the tables and reception space. However, there are lots of other ways to decorate these areas too; candles, lighting, lanterns, balloons, original tableware, signage… the list is endless! I will go into much more detail in the coming weeks about flowers (and some of my favourite florists), decor and styling, so pop back soon! My advice here, is to invest in someone whose photographs you will love and treasure forever, as they will be the best way to revel in those precious memories. 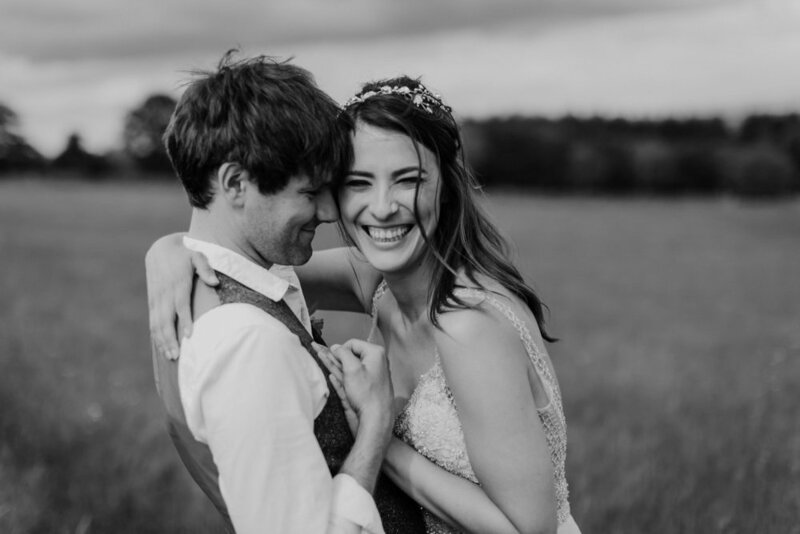 There are lots of different styles of wedding photography from fine art to documentary, so have a look through some different portfolios to find the style you love, then you can narrow it down to a few photographers who share this style and have worked in venues similar to yours. Ask your narrowed-down selection for their brochures and price structures, and if you are happy with the costs, arrange a face to face meeting with one or two. It’s really important you get along with your photographer as you will need to feel completely at ease with them (they’ll be following you around and snapping photos of some intimate moments - a bride and groom kiss shot has to be one of my favourites). They should be happy to shoot photos that you want (family shots, bridal party group etc.) but they will also offer you guidance on shots they think you will love - they are the experts and have the creative knowledge of what will make a great photograph. They will talk you through all this in your meeting, leaving you to feel completely at ease on the day that they are beautifully capturing the best moments of your life. The first meal you will eat after you become a married couple (hence breakfast!). This is where you can really personalise your day; choose a menu that you’d really love to eat. If there is one thing I would invest in food-wise, it is some good canapés during your drinks reception. These will keep people from getting too hungry which means you'll have plenty of time to mingle with your guests and to have some photos taken! Traditionally, a wedding breakfast consists of a three-course sit down meal, but it is becoming more popular to have an original menu and service such as sharing style meals, food trucks or even an afternoon tea. Some venues will have an in-house caterer or a list of preferred suppliers to choose from, but they should be willing to offer something a little more bespoke than their current menu. If you have your heart set on serving Indian cuisine for example, but are restricted by the venue for your main meal, perhaps you could serve mini curry pots or bacon naans as a “midnight feast” - something which is becoming really popular to keep your guests partying all night long. Your venue/ caterer can also take care of your drinks so enquire as to what menus they have and see if they can offer you any “bulk buy” discounts. Another great way to inject your personality is to have a couple of bespoke cocktails, based on your favourite tipples. Choosing what music to play during your wedding day is a very personal (and often tricky) choice. But really, the songs you choose should be what you love to listen to, what you sing along to in the car, what you hum whilst doing the washing up, and songs that mean something to you and your partner. We would suggest choosing songs for walking down (and back up) the aisle, during signing the register, and for during the drinks reception and dinner. This could be an acoustic singer, a harpist or an iPod playlist - entirely your choice. After the wedding breakfast, it’s very popular to have a band to kick of the evening in style. Choose a band that plays the genre of music you and your partner enjoy, which could be anything from jazz to rock. A band will typically play two sets (of approximately 45 minutes to an hour each) with a little break in between. When the band are finished, it’s very common to have a DJ to play and really get the party going. Again, choose a DJ that will suit you and play songs you like! However, if you are limited with an early finish or noise restrictions, you could always just make a playlist of party tunes which can be played a little quieter! There are lots of other entertainment options such as garden games or even a magician. Photo booths are also a huge hit (with everyone from your friends to your granny!). There are lots of companies who set up their pre-made booths with printers (you should definitely ask for a guestbook copy if you go for this! ), but you could always style your own backdrop with a camera on a tripod and share your images with your guests online (or even print their photos and send them with your thank you notes). Ok, so there are a few more than 10 things to consider, but these things aren’t essential! Not everyone wants a cake these days, but for me I love the tradition of cutting the cake. There are so many great bakeries out there that will whip up anything from a simple, naked cake to an extravagant 5 tier beauty decorated with sugar flowers. Going together as a couple to choose your wedding rings should be a really exciting day out. Make sure you choose something that will fit with your engagement ring, and don’t be afraid that they have to match each others - if you want gold but he prefers white gold - that’s fine! Again, you don’t have to have a ring - choose something that will mean something to you both and something you can treasure. Again, not everyone wants to have the traditional speeches, (Father of the Bride, Groom and Best Man). Some of the best speeches I’ve heard are by the Bride or Maid-of-Honour! Also, it’s traditional to wait until after the wedding breakfast to do the speeches, but I love speeches during dessert, as people are often itching to get up. You may want to do your own hair and make-up, or have a talented friend who can do it for you. You may want to get in a professional to make sure you look beautiful all day. Make sure you have a consultation and trial before the big day to make sure they know the look you’re going for. I would suggest going for a slightly more glam version of your everyday self, if you always wear a winged eye-liner I would stick with it, but if you rarely wear lipstick, I would advise you don’t go for a bright red lip. Shoes, veils, jewellery, underwear; these need to complement you and your dress. Make sure these are all comfortable and only add to your look, not distract from it. Traditionally, groomsmen, bridesmaids, and mothers of the bride and groom receive a little something to thank them for helping you in the run up to (and on) your big day. Depending on the distance between where you are staying the night before, your ceremony venue and the reception, you may need to organise some transport for the bridal and groom party, and maybe even for the guests. This could be anything from a traditional “wedding” car, to a VW camper or even a Routemaster Bus. This doesn’t have to be a lavish trip to Mauritius for 3 weeks (although that would be lovely!). A short trip to Italy, or even a long weekend in Cornwall would be just as special. A time for you to relax and enjoy a little bit of calm after such an exciting run-up-to and wedding day. Some time to spend together, just the two of you, enjoying each other’s company. After all, that’s what getting married is all about. © L27 Weddings 2018. All rights reserved.